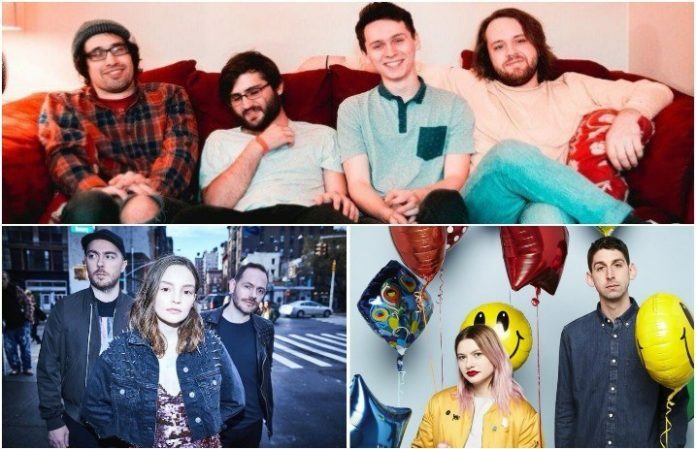 Watch new music videos from the Garden, Tigers Jaw and more—plus, check out CHVRCHES' album tracklist. Check out the news you might have missed today below! The tracklist for CHVRCHES' upcoming third studio album, Love Is Dead, has officially been revealed. You can check it out below! Tigers Jaw dropped a new music video for their song “Window.” Fair warning: It will make you want to grab those skates collecting dust in your closet and head to your local roller rink. The song is taken from the band’s newest album, spin. You can get your copy here! The Garden have shared a new music video for their song ”Stallion.” The track is taken from the band’s upcoming album Mirror Might Steal Your Charm, set to be released March 30. You can get your copy here! ICYMI: @HotMulligan will be doing an acoustic in-store at @vinylparadiseny on March 19th (the day before they hit the stage at @revolution_li with @KnucklePuckIL, @BSTNMNR, @FreeThrowEmo, and @jettybonesmusic). Hot Mulligan announced that they'll be doing an in-store performance March 19 at Vinyl Paradise in New York. For tickets, you can go here! The performance will be a day before the band head out on tour with Knuckle Puck, Boston Manor, Free Throw and Jetty Bones. Pick up tickets here! The band's new album, Pilot, will be available March 23 via No Sleep Records. You can get your copy here. MGMT performed on The Late Show With Stephen Colbert yesterday. The band performed “Me And Michael,” taken off their new album, Little Dark Age. Never Betters put their name to good use, and their newest music video has never been better. (We don’t like our puns, either.) The track is taken from the band’s Guns + Roses' Roses split with Grievances, out March 16. You can preorder it here! No Thank You shared their new song “Cubic Zirconia,” taken from the band’s sophomore album All It Takes To Ruin it All. It'll be out via Lame-O Records April 5.